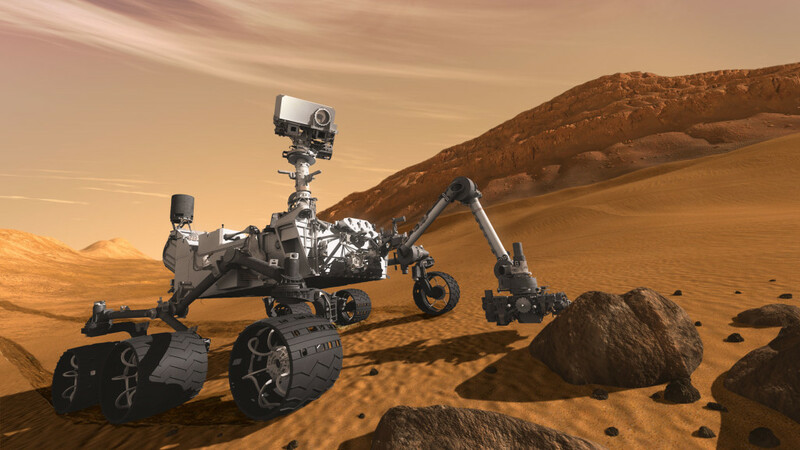 Presidio Components, Inc. is a proud supplier of specialty capacitors for the new Mars Rover Curiosity. Curiosity landed safely on Mars at 1:31AM August 6, 2012, in our continued effort to explore the solar system. Presidio Components, Inc. products are being used in many Space Programs such as Mars 94, M-Star, Mars Surveyor, Mir Space Station, Orbital, Chinasat, Columbus, Comsat, Eurostar, Genesis, Hubble Telescope, Intelsat, Int’l Space Station, Planet B, Space Shuttle, Turksat and many others. Presidio Components, Inc. is the leader in high quality ceramic capacitor products and respected by the electronic industry since 1980 for its highest standards of manufacturing, quality control and service. Presidio’s state-of-the-art manufacturing technology utilizes the latest designs in machine automation and clean room environment. All manufacturing takes place in the modern 25,000 square-foot facility in San Diego, California. Qualified to military specification MIL-C-55681, Presidio Components presently services hundreds of corporations worldwide with incomparable quality ceramic chip capacitors. Presidio also provides devices for high temperature, high voltage, high Q and microwave custom applications. QPL NASA S-311-P-829 – Multilayer ceramic chip capacitors for space, missile and other high reliability applications. NEW! X-Band Capacitors – Click Here for the Brochure! Presidio Components, Inc. products are being used in many Space Programs such as Mars 94, M-Star, Mars Surveyor, Mir Space Station, Orbital, Chinasat, Columbus, Comsat, Eurostar, Genesis, Hubble Telescope, Intelsat, Int’l Space Station, Planet B, Space Shuttle, Turksat and many others. For complete list of Programs, please visit Presidio Components’ web site. QPL Mil-PRF-55681 (since 1984)- Surface mount, multilayer ceramic chip capacitors, CDR type. QPL Mil-PRF-55681 ‘S’ Level (since 2000) – Lowest failure rate designation. More than 380 million hours of Life Test Data accumulated since 1984. QPL Mil-PRF-123 Space Level (since 1998) – For space, missile and other high reliability applications. Tested in accordance with MIL-PRF-123. Parts are available in a broad range of values and tolerances. QPL Mil-PRF-49470 ‘B’ Level (since 1999) – SMPS ceramic capacitors suitable for standard Class “H” military applications. QPL Mil-PRF-49470 ‘T’ Level (since 2001) – SMPS ceramic capacitors suitable for high reliability “T” Level, Class “K” space level applications. QPL Mil-PRF-49467 (Since 2003) – Multilayer high voltage capacitors suitable for military and commercial high reliability applications. QPL Mil-PRF-49464 (Since 2011) – High reliability single layer chips.